If you need a reminder on why you live in the Dupont-Logan-U Street area, then here you are. Be sure to check out the galleries, music and theater listings–links are at the bottom of this page. American Sign Language Open Mic Poetry. Busboys & Poets has ASL open mic poetry tonight at 11 pm. At 14th and V NW location; $5 cover. Farmers Market Opens for Season. The 14th and U Farmers Market opens for the 2010 season this Saturday. The time is 9 am to 1 pm (Saturdays only) on the northwest corner by the Reeves Municipal Center. Kids and dogs are welcome. Check out the market’s page on Facebook to find out what types of produce are expected. Embassy Tours. Cultural Tourism DC is kicking off its Passport DC series with free embassy tours: “Embassies from A to Z–Australia to Zambia and many in between–will treat guests to a rare opportunity to enjoy the cultures of their countries all in one day during the Around the World Embassy Tour.” A total of 35 embassies are participating in the tour. Remember that many embassies are located in Dupont Circle or close by. Register, Vaccinate Your Pet. The District’s Department of Health will hold a vaccination and registration clinic from 1 to 4 pm for dogs and cats at the Shaw Dog Park. Dogs must be on leash, and cats must secured in a carrier box. The vaccinations are free, but there are registration fees. Here’s more information. Pop-Up Gala. 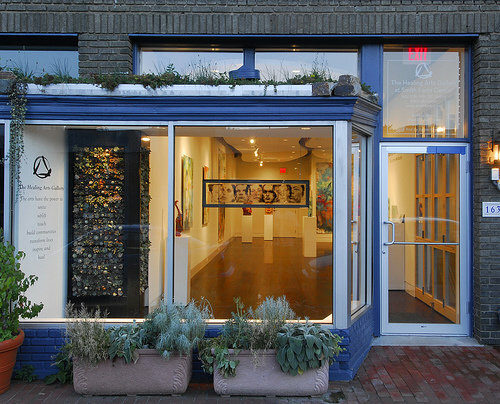 The Cultural Development Corporation hosts the Pop-Up Gala at Long View Gallery, 1234 9th Street NW; tickets required. 2010 Police and Fire Field Day. The annual Police and Fire Field Day is 11 am to 6 pm at Fort McNair. The annual event features competitive events between the DC police and fire departments plus family-oriented activities. Tickets are $10 per family. Fort McNair is by Buzzard Point in SW DC and is Metro accessible via the Waterfront/SEU stop and Metrobus 70 and 71 lines. Cultural Development Corporation is a non-profit organization that makes space for art. But what exactly does that mean? This year Cultural Development Corporation will tell the story of what they do every day through a series of pop-up art spaces, two of which are located in the U Street area. The various projects have resided in the city for the last two weeks and will come together on Saturday at their annual gala at Long View Gallery on 9th Street NW. Cultural Development Corporation created teams of artists, architects and developers to make space for art. Each team responded to a key word–live, work, play and create, which could be interpreted as literally or figuratively as each team wanted. According to Morgan Greenhouse of Team Work, their team took the key word ‘work’ quite literally. Team Work is comprised of representatives from Lakritz Adler, Sorg Architects and artist Edgar Endress. They collaborated with residents of the Shaw and U Street neighborhoods to create their pop-up project, which plays with the idea of value. They asked residents to provide objects that represent how they make a living in exchange for a Shaw Buck, redeemable for discounts at local outlets like Dukem Ethiopian Restaurant. The mementos were organized in a wooden crate at an empty retail space below Moderno at 12th and U Streets. After the gala, the team intends to ship the crate with a letter of explanation to a local institution, essentially elevating the value of the mementos. This week’s mystery city is La Paz, which was the top choice of readers with 44% of votes cast. La Paz is the administrative capital of Bolivia. The second choice was Maracaibo in the northwestern Venezuelan state of Zulia with 21% while Boa Vista, Roraima, in Brazil was in third place with voters with 15%. We will have next Mystery City #6 on Tuesday from Luis’ collection of cities in 45 countries. Previous Mystery Cities were Caracas, Valaparaiso, Sydney and Bratislava. If you are in the mood to take in an exhibit, remember that there are 10 galleries here in the Dupont-Logan-U Street area. This weekend there are two new exhibits opening and three closing. New exhibits are at Irvine Contemporary on 14th Street and Transformer on P Street. Exhibits closing are at the Bronfman Gallery at the DC Jewish Community Center… the Curator’s Office and the Hamiltonian Gallery. Thursday through Sunday: Here is your listing of live music at venues in the Dupont-Logan-U Street area. If you want to head out your door at the last minute to take in some music close to home, here are the places to go–the list is below the fold. Three of the five theaters in the Dupont-Logan-U Street area have shows this weekend. One new show opens Friday night: The Graduate begins a run on Friday at The Church Street Theatre. The listing is below the fold. Note: This is a firsthand account. At approximately 10 pm a Maryland couple was driving their 1995 Isuzu SUV north on 15th Street NW when they noticed flames coming ouf the truck on the driver’s side. They stopped the truck at the northeast corner of 15th and Corcoran and got out before the truck went up in flames. No one was injured and the fire did not spread to surrounding vehicles or buildings. DC police officers on the scene verified the details of the incident. The fire and sounds of melting plastic and glass caused loud popping explosions that could be heard for several blocks. Police arrived on the scene and blocked off 15th Street NW. However, it was an estimated 8 minutes (the estimated time is confirmed by reports from several people on hand) before the DC Fire Department arrived. The vehicle was burning out of control when the fire trucks arrived, but the fire was easily extinguished. The couple driving the SUV were able to move safely away from the vehicle and were giving a report to DC police. ANCs Part 2: What Do Commissioners Do? Last week we looked at the function and role of Advisory Neighborhood Commissions (ANCs) in DC government (“What Exactly Do ANCs Do?”). 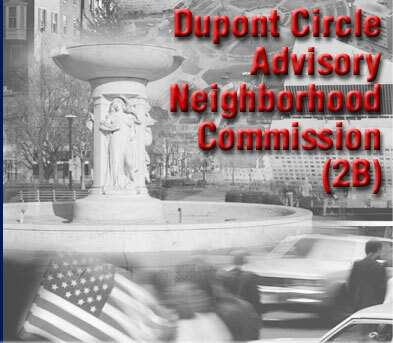 This week is a Q&A with four ANC commissioners from the three ANCs that serve the Dupont-Logan-U Street area; we asked each commissioner the same four questions. 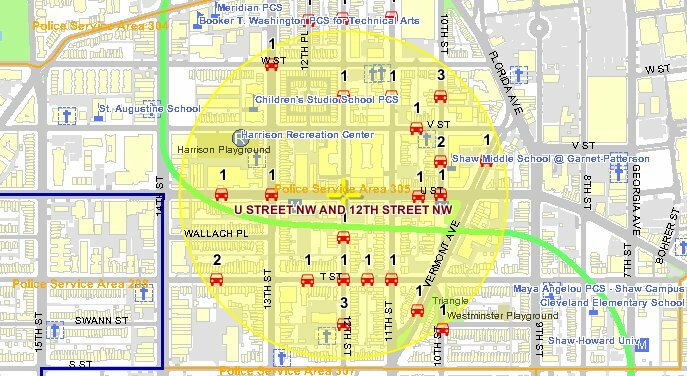 Jack Jacobson, ANC 2B04, which is the single-member district (SMD) on the east side of ANC 2B-Dupont, running from 15th to 17th Streets. Peter Raia, ANC 1B02, which is an SMD on the south side of ANC 1B, which serves the U Street area and encompassing parts of both U and 14th Streets. Charles Reed, ANC 2F01, which is an SMD on the west side of ANC 2F-Logan, including part of the 14th Street corridor. Reed is also the chairman of ANC 2F. Mike Silverstein, ANC 2B06, which is an SMD on the south side of ANC 2B-Dupont, south of the Circle. He is also the chairman of ANC 2B. Deals for Deeds is now up and running following a launch party last night at ACKC Cocoa Bar–the first deal is already posted this morning. The group buying website is similar to LivingSocial and Groupon, but supports community nonprofits in the process. On the business side, they have already partnered with ACKC, Arganica Farm Club, Tango Mercurio and Carafe Wine Makers. On the nonprofit side, Deals for Deeds has lined up Washington Animal Rescue League, Food & Friends, and Habitat for Humanity of DC. One of the crime trends of the past 10 days in the Borderstan area is nine stolen autos: five were stolen last weekend, four on Saturday and one on Sunday. There were another four reported between April 17 and April 21. Most of the cars were stolen in the western part of Logan Circle neighborhood or near the U Street Corridor; the list is below. In addition, there were 11 reported robberies between April 16 and April 26, two of them committed with guns (the robbery of Nellie’s Sports Bar and resident Kal Penn) and one with a knife. Three of the robberies are categorized as “snatches” or “pocketbook snatches” and they occurred between 1300 and 1500 U Street NW. Following are the crimes of note for the past week–robberies, assaults, burglaries and stolen autos–that occurred in the Dupont– Logan – U Street area. The area is covered primarily by Police Service Areas (PSAs) 208 and 307 with a small slice of the Borderstan area in PSA 305. According to DCmud, Room & Board is set to open in June. Construction has been underway for months at the southwest corner of 14t and T Streets NW in the old Taylor Motor Building. DCmud has a great description of the planned interior with photos of work underway. Although Glenn Fry had a successful career as an advertising graphic designer and art director, he felt that his creativity was not being fully utilized. Tired of the corporate advertising world, Glenn decided to move to the District and pursue his passion for art full time. After settling in Logan Circle, he enrolled in classes at the Corcoran College of Art and Design and the Torpedo Factory’s Art League. Classes helped bring Fry back into the artistic mindset and he began developing the unique style that he brings to his silkscreen works. Mystery City #5: What City is This? We bring you Mystery City #5 from Luis’ collection of travel photos. Make your best guess–or educated selection–on the city’s identify and vote in the reader poll below; we will give you the answer on Friday. The first four mystery cities were Caracas, Valparaiso, Sydney and Bratislava. Another article on DC’s rising hipster status. Out magazine has an article about DC’s place in the gay-hipsterness rankings: “When did it stop being embarrassing to say you live in D.C.?” My favorite graph: “It’s not embarrassing anymore to say you live in D.C.,” says Richard Florida, the author who rethought city coolness with his book The Rise of the Creative Class. “When we measure the gay index, D.C. is off the charts. Of course, you still have preppy dinosaurs living in the formaldehyde netherworld of Georgetown. But that’s ending.” Well, at least we live in the middle of it. Washington Post reaches out to local bloggers. Fishbowl DC reported Washington Post’s announcement of its new local blog network, “All Opinions Are Local.” It will include original content from independent bloggers, as well as posts from the bloggers’ home sites. Sommer Mathis of DCist, Dan Malouff of BeyondDC and David Alpert of Greater Greater Washington are among the bloggers working with The Post. Dodge City now open on U Street. BrightestYoungThings and UrbanDaddy profile the new tavern in town. The Go Go Posse 1980s release “D.C. Don’t Stand for Dodge City” inspired the name of the bar, which is owned by Velvet Lounge owner Haile Berhane. Abdul Kayoumy from Velvet and Angie Hopson from Black Cat are also partners in the venture, according to BYT. 14th and U NW project. Is the big redevelopment project planned for the southwest corner of 14th and U Streets NW about to get underway? DCmud has the story. Top Chef judge Tom Colicchio tries Ben’s Chili Bowl. The Young and Hungry blog at the Washington City Paper reposted the picture of Tom Colicchio’s half-eaten half smoke from Ben’s Chili Bowl. The Top Chef judge uploaded the picture to Twitter with the caption, “Guess where I am.” Bravo has been taping the popular series throughout the District. See the Washingtonian’s Best Bites Blog for a map of their whereabouts. More on the 14th and U corridor Arts Overlay. Two pieces of reading on the arts overlay district that encompasses swaths of both 14th and U Streets, limiting the frontage to 25%… but it will probably soon be upped to 50%. Read a follow-up piece at 14th and You as well as the great piece over at the Washington City Paper’s Housing Complex blog (comments are also a must read). More details on the armed robbery of Nellie’s. MetroWeekly has more details on the April 19 robbery of Nellie’s Sports Bar at 9th and U NW. Fenty proposes vacant property fee increase. Washington Business Journal reports on DC Mayor Adrian Fenty’s proposal to dramatically increase the annual registration fee paid by vacant property owners in DC. According to Michael Neibauer of the WBJ, property owners could pay up to 250 times what they currently pay for owning an empty residential or commercial building. Last Wednesday we had a post on violent crime trends over the past three years for three specific areas in Borderstan. Today is a look at property crime trends over the same periods of time for the same three areas. Unlike violent crime in the area–which is either unchanged in the past two years or has gone up–property crime has declined in the past year. However, property crime rates are only back down to where there were two years ago. In terms of the overall crime rate, it is declining property crime rates that are driving the overall crime rate. For the three areas combined, property crimes are down 15.6% for the one-year period ended April 19 when compared to the previous year. However, the total number is still up slightly from two years ago, about 3%. As of April 19, the number of burglaries in the previous year was 42% lower than in the previous one-year period, and 55% lower than two years ago. The number of stolen autos has declined by 42% in the past year after increasing 16% between April 2008 and April 2009. The number of thefts from autos (“smash and grabs”) declined 16% in the past year, but is still 28% higher than two years ago. Other property crimes in the MPD crime stats are theft and arson. Property crime stats for each of the three reporting areas are below the fold.